Which is the best all-in-one printers under 5000 INR Confused? Today, We moved to a paperless era where we save trees and use digital much more than paper, but still, there are many things which still need to be done on paper like business documents, invoices, notes and many more. Most of the printers today worked as a printer, scanner and offer document copy feature. So, you can not just print but scan your documents and convert them into digital format. That’s why we decided to write a full article on it recently I’m looking for an excellent high-quality printer for my office work, and I researched a lot on internet and found few amazing printers in budget price and I also bought one for myself So, here I present my top 5 list for Best Printers under Rs. 5000 in India which you can buy in 2019. 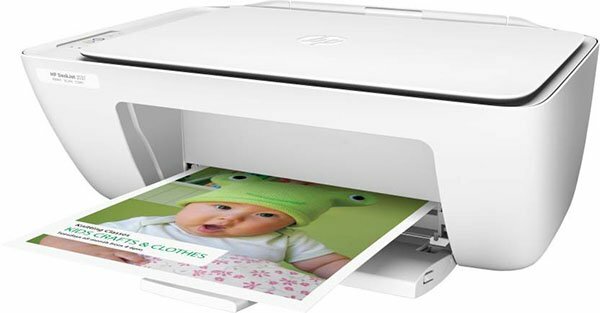 The HP DeskJet 2131 All-in-One Printer is an excellent option for anyone who is looking for a budget printer which can perform all the necessary tasks like print, copy, and scan. This will save your desk space because it’s an all-in-one printer so, you don’t need extra things like the scanner or copy machine, etc. 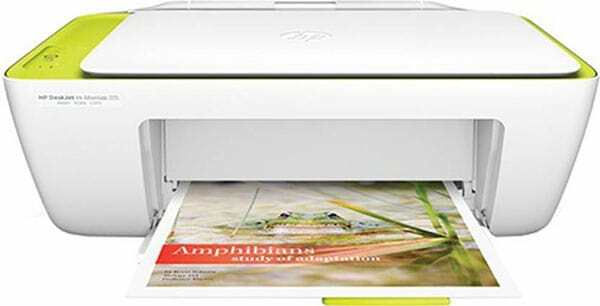 This HP DeskJet 2131 is extremely simple to set up, and the controls are well-known and user-friendly. Print quality is superb and the page rendered time is also decent on this one. The ink consumption is one of the lowest in this printer as compared to others in this list. You can easily found cartridges of this printer because it is from a well-known brand HP and refilling system is also very easy on this one. The printer offers good versatility you can print standard paper, photo paper or brochure. This can be an ideal printer for home usage for essential work like notes printout or other basic work. The reason we haven’t suggest this for working professionals is due to printing speed on this one is very slow. 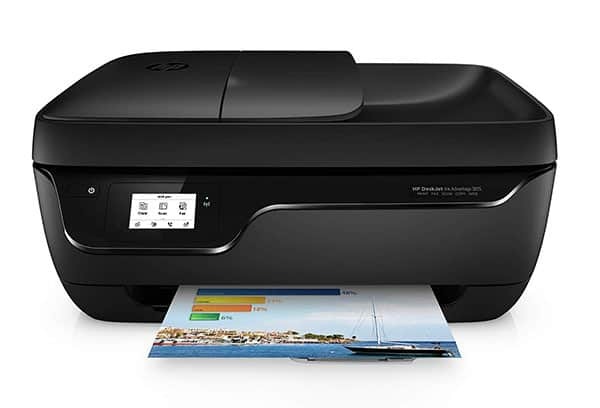 HP DeskJet 2135 is one of the best printers you can buy below Rs. 5000. 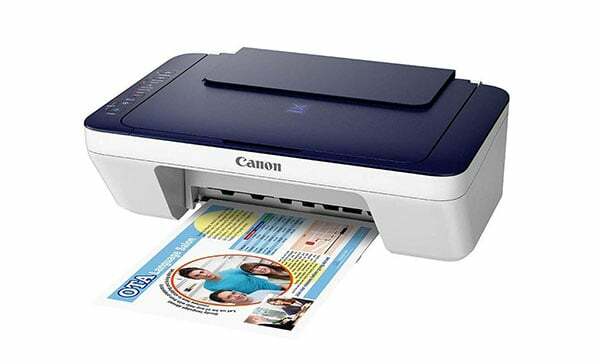 It is an ink-jet printer with All-in-One features like you can print, scan and copy any document you want. One thing you have to keep in mind that HP Deskjet 2135 will not be able to match laser printing quality but for the average home user or basic printing its not a bad choice. The only drawback we found in this printer is lacking WiFi connectivity. So, if you want to print anything from your computer first, you need to connect it via USB port. Printing on this one is cheap and reliable, and the print quality is excellent in both mono and color. You can print with this printer via pen drives, laptop or PC. The printer is ideal for photo printing as well but the time taken for color printing is a bit longer than a laser printer. It is suitable for home and small office. If you do not severely want a WiFi printer, this one should be your choice. 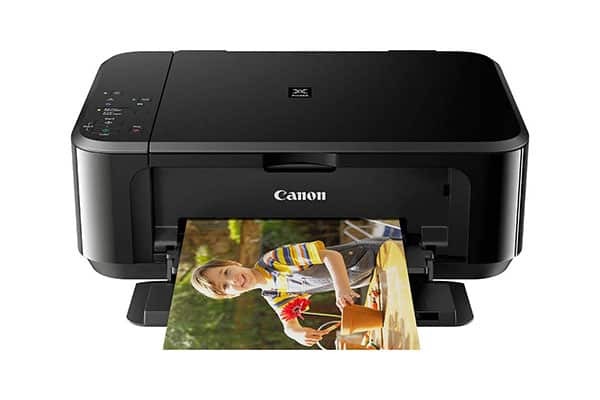 The Canon Pixma MG3670 all-in-one Wireless Printer is a great choice for home purposes or even for small businesses. All-in-one means it can print, scan and photocopy any document you want. This printer is available in two colors black and trendy red. The printing quality is near to superb both black & white and color prints are good. The setup process is easy, and this printer offers Wifi connectivity so you can print wirelessly via your smartphone too. The Duplex printing mode offers double-sided printing so you can print the front and back of the page which is extremely useful in some cases. Scanning and printing on this one are fast and reliable and a decent resolution. But the high pricing of the ink cartridge might disappoint some of the user like me who doesn’t have enough budget for refiling. If you are looking to buy a printer for professional work and you have a budget which is little over rs. 5000 hen HP DeskJet 3835 is an ultimate option for you this one again all-in-one printer with scan, copy, print and this one can also use for fax which is a great thing. As I told you above it is a completely professional printer which comes with a 2.2-inch mono touchscreen display. This printer works flawlessly with your smartphone using HP eprint or if you are an iPhone user, you can print with Apple AirPrint. Printing speed is also very good on this one you can print six color pages in a minute or 8-9 black and white print in 1 min. It is a duplex printer so you can print both sides of a page. There is nothing different to talk here again this is an all-in-one printer with all the features but this one is from canon and it also supports wireless printing through wifi. So, Guys that is our list that we found the best wireless printers you can buy under Rs. 5000 in India. But if you still have any question or query about any printer feel free to write down in the comments section below. But in case you know any printer which deserved to be listed in our list feel free to comment down below. If any of your friends or relative looking to buy a printer do share this article with them and make sure you follow us on all the socail media platforms for latest news, update & giveaways.